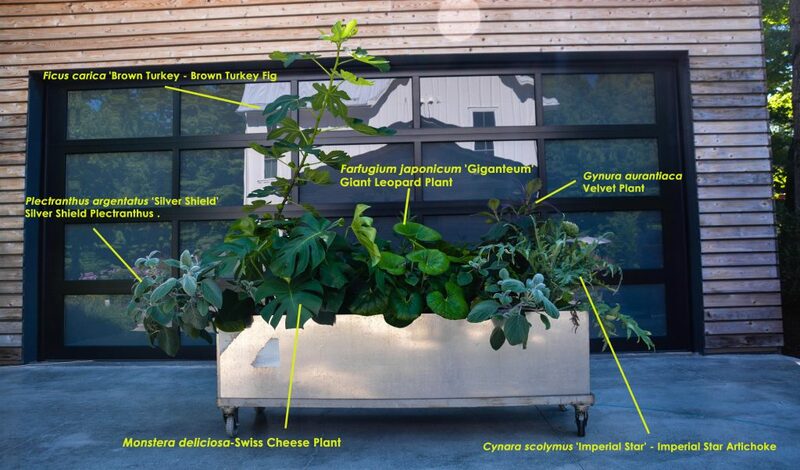 From my experience container designs are the best areas to experiment with plant combinations. You have control over soil, watering and fertilization in a finite area. 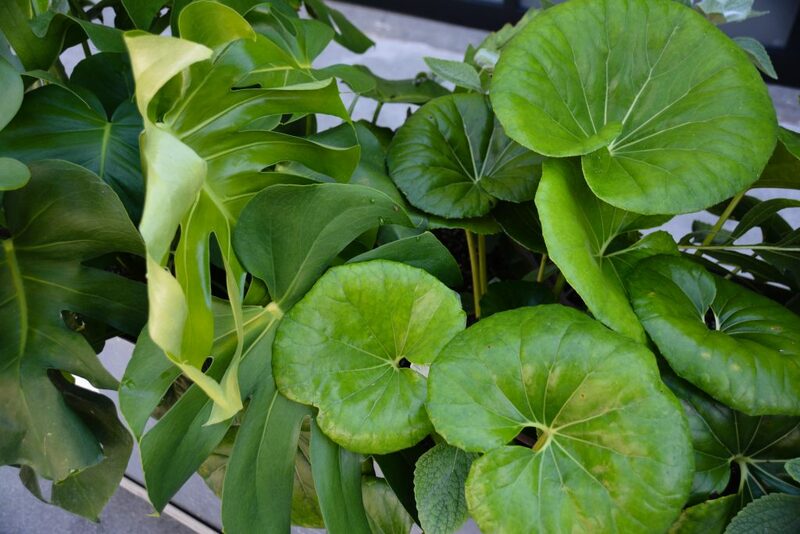 Also with seasonal plantings, you can play with plants of different hardiness. 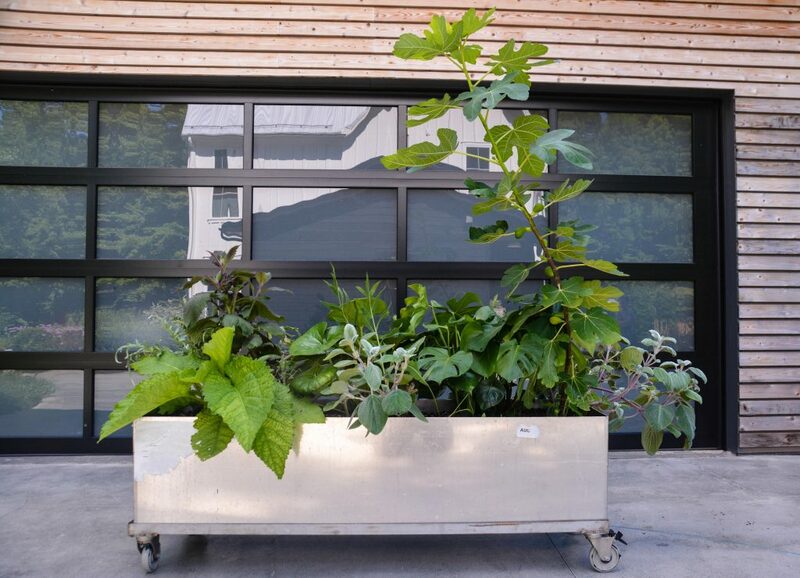 On our driveway we have a large aluminum trough on wheels that this year was the first time planting. We think it came from a General Mills or pill factory, another Craigslist find. 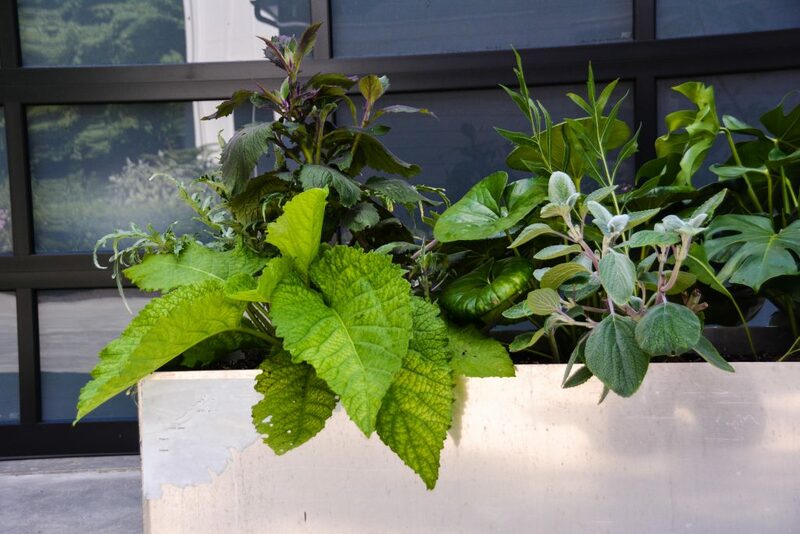 Given the length of the container, I decided to play with large foliage plants, staying away from any bloom. 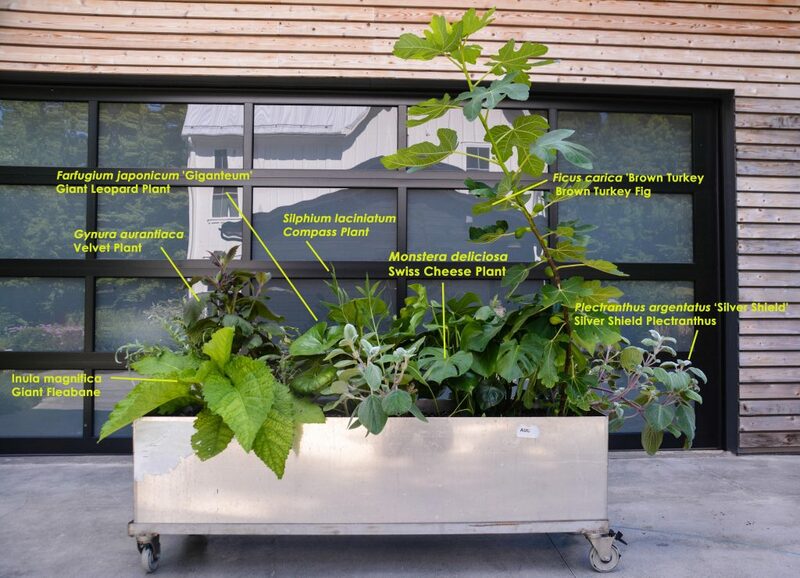 With some of the big leafed plants, they also come with big root systems. Later in the season these root systems will be competing for the soil and space. However, we have reached the end of July and everything is looking great. This container has no “filler or spiller.” They are all thrillers. 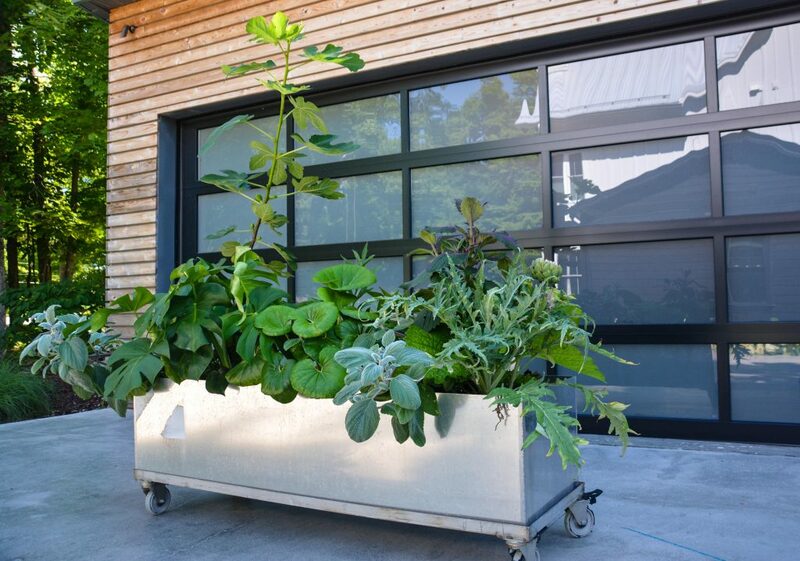 Since the container is on wheels, it is able to be moved around the driveway with ease. 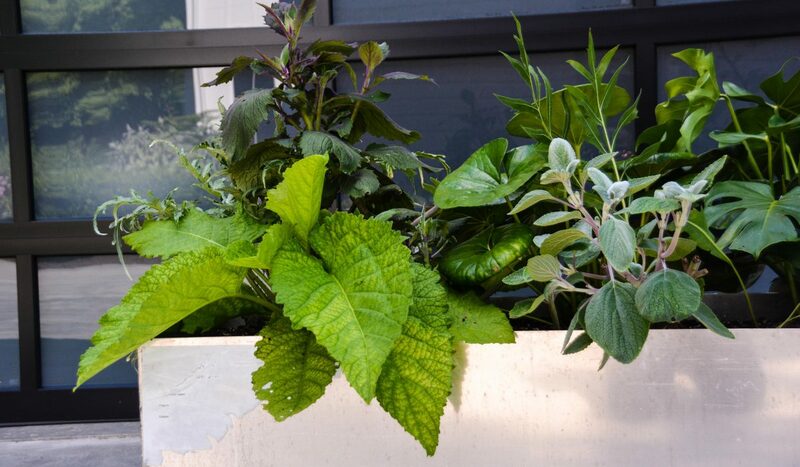 Spinning the container around allows a different planting grouping take the main focus. The existing wheels are breaking apart, so over the winter I will replace with something that will withstand the outdoor elements. 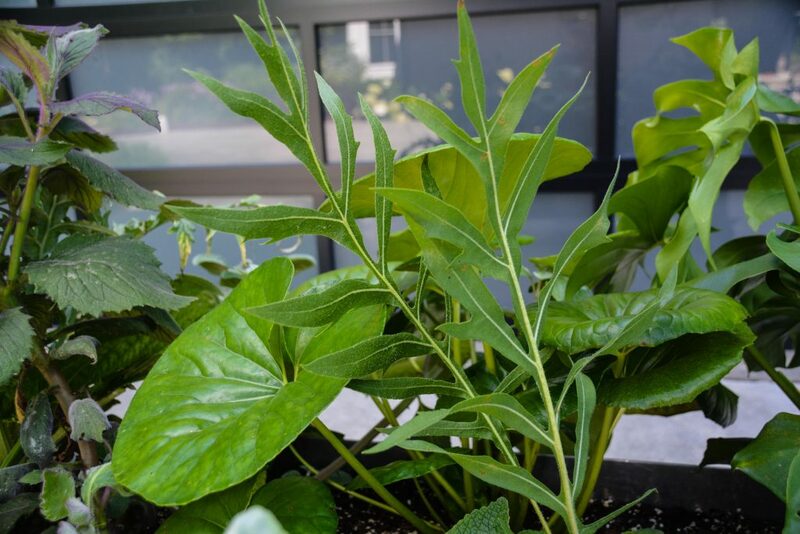 When the container was planted, I was concerned the metal sides would over heat the root zones. My solution was to cut foam insulation two inches lower than the lip of the planter and place around the perimeter. I used a polystyrene product from our local home improvement store (similar product here). For maintenance, the only item I have done is continued watering (we had a very long hot and dry spell) and selective pruning to keep allow different foliage to have sunlight and gain more space. Here is the complete plant breakdown looking at the front and back. 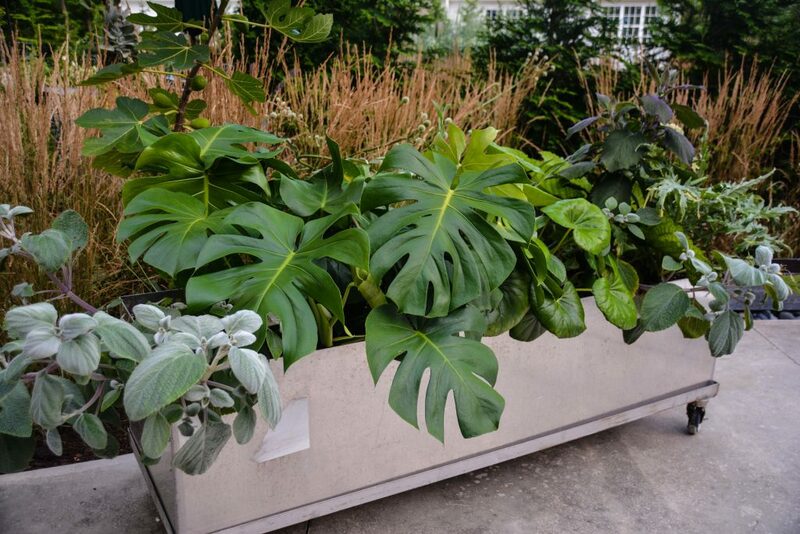 The size and mobility of this planter has been a great to play around with. I already have my idea for the planting design for next year. Closing with two detail photos to get the details. 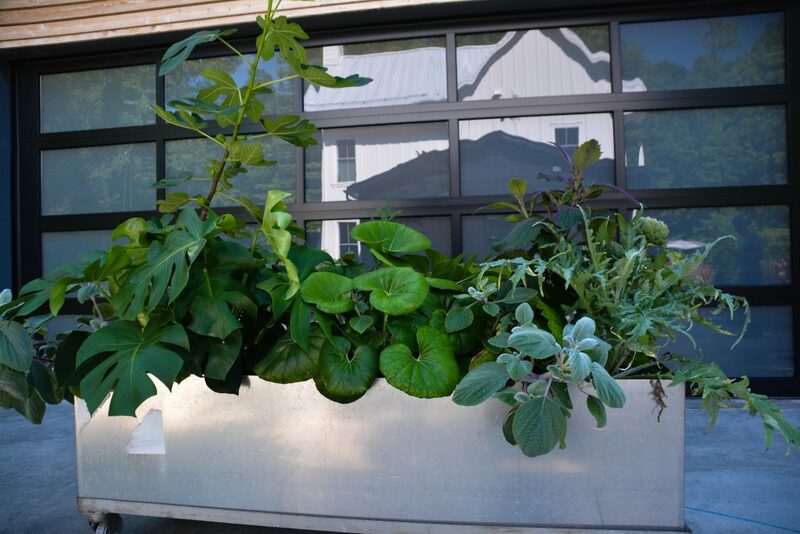 Sometime pushing the envelope or “breaking” the unspoken rule is fun… gardening should be fun and this planter hopefully illustrates that! This entry was posted in C O N T A I N E R S by Nick. Bookmark the permalink.